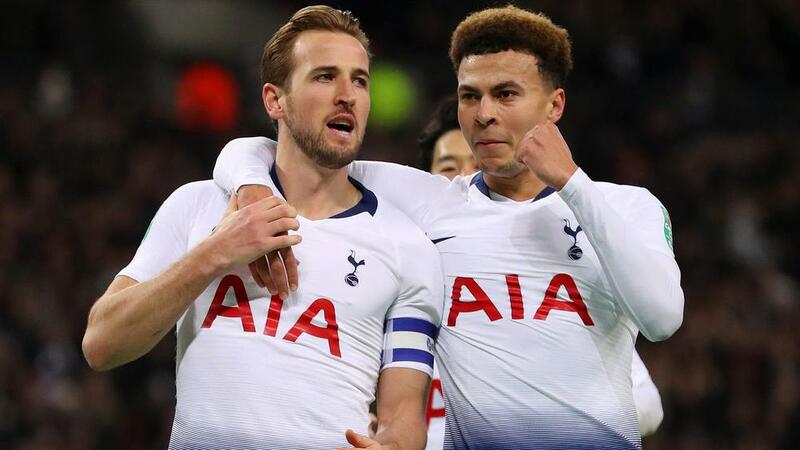 Tottenham manager Mauricio Pochettino talked up the significance of his side's 1-0 win over Chelsea in the EFL Cup semi-final first leg on Tuesday. Harry Kane's first-half penalty at Wembley was enough for Spurs to take a narrow advantage halfway through the tie. As Pochettino eyes his first trophy at the helm, he felt the first-leg win was a good step for his team. "I think we were very competitive. I am so pleased. We played against one of the best teams in England, of course and in Europe, a team that have been building to win titles," he told a news conference. "They have unbelievable players. I think to win this type of game is an amazing, huge experience for us, to be more mature. Of course, it's only half-time, it's a small advantage, 1-0, but we need to be competitive in the second leg. "Of course, give credit to Chelsea. Because in the second half they pushed a lot, and made us play a little bit deeper. "But of course I'm very happy because we were competitive and in the end, we won the game." Kane dispatched a spot-kick for his 20th goal of the season, the penalty awarded with the help of the video assistant referee (VAR). Pochettino, who questioned the use of the VAR, praised Kane's ability from the penalty spot. "He was very calm, relaxed, quality and has confidence in himself. That is what you need," he said. "That is his talent of course. Not only his practice, his talent as well." Spurs are next in action at home to Manchester United on Sunday, with the second leg of the EFL Cup semi-final on January 24.